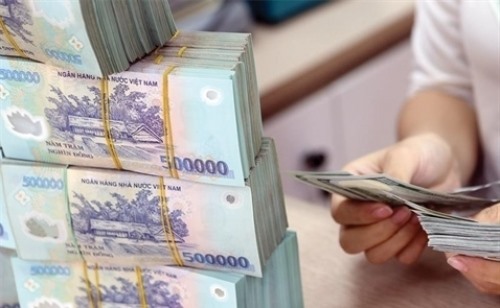 HÀ NỘI — The Việt Nam Asset Management Company (VAMC) will take drastic measures to recover around VNĐ33 trillion (US$2.6 billion) of non-performing loans (NPLs) this year, VAMC chairman Nguyễn Tiến Đông said. Đông said that to meet the target VAMC would focus on restructuring and classifying its bad debts, so that it can sell its secured assets and recoup the debts. “An analyst group specialised in restructuring enterprises with bad debts will also be set up to boost the debt settlement,” he said. VAMC will coordinate with relevant bodies under the central bank to submit to the Government and the National Assembly a project on restructuring and handling bad debts to ease VAMC’s operations, Đông said. This project will also be expected to strengthen capital, technology and human resources of VAMC to ensure that it is strong enough to settle bad debts. Trading of bad debts under market mechanism will be also undertaken this year to meet the target, he said. Besides the recovery of bad debts, VAMC will also buy VNĐ25 trillion of NPLs from credit institutions this year. According to VAMC, the company purchased VNĐ30 trillion of bad debts from credit institutions last year. It had also collaborated with creditors to recover loans and sell mortgaged assets with a total value of more than VNĐ20.6 trillion. Specifically, VNĐ469 billion in bad debt was sold, nearly VNĐ5.5 trillion recovered from the sale of assets used as collateral, and some VNĐ14.7 trillion retrieved via authorisation for credit institutions. Settlement of bad debts at credit institutions is also expected to be positive this year after some institutions announced they would buy back all the NPLs they had sold to VAMC. Vietinbank chairman Nguyễn Văn Thắng said that in 2017 his bank would focus on settling bad debts and buy back all the bad debts it sold to VAMC, three years earlier than planned.